To increase the surface area and slow the stormwater flow velocities, the bioswale was constructed by excavating the existing drainage ditch to create a 12-foot wide swale with a level channel bed. Subsurface infiltration ditches were placed at intervals along the base of the swale to increase water storage and absorption into the soil. 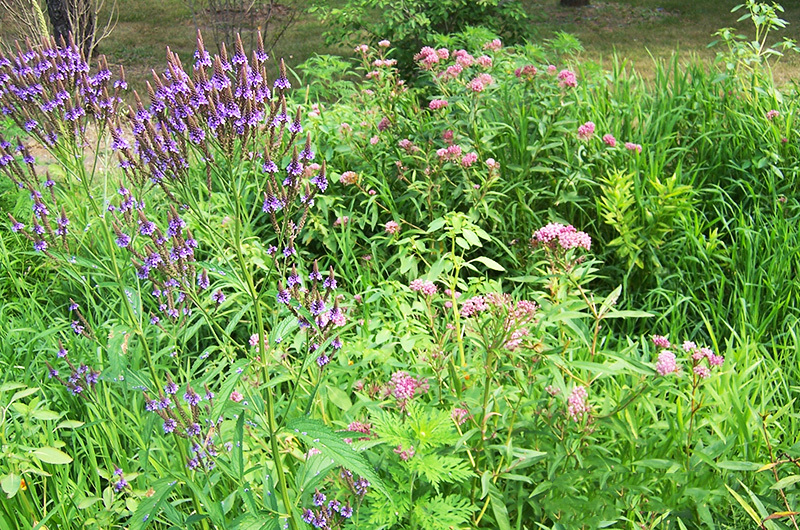 Prairie and wetland plant species native to Michigan were planted in landscaped “zones” along the bed and edges of the swale. The wetland zones are planted with a variety of wet tolerant species that are known for their ability to trap and filter sediments. A sedge mix creates an aesthetic transition zone between the swale base and the upland edge. Warm season prairie grasses planted amongst the existing vegetation provide a natural background to the bioswale feature. A low “no mow” turf grass was incorporated into the surrounding landscape to provide the appearance of a manicured garden without the maintenance and fertilizer requirements of typical turf grass. The site was properly constructed in Fall 2005 with HRC and Niswander Environmental performing construction oversight. Niswander Environmental also conducted a public meeting to the Homeowner’s Association and presented the bioswale project on behalf of the Township.